It is no secret that I come from a reading family. So of course, there were a few books under our Christmas tree this year, mostly for my niece and nephew, but I got one surprise too. 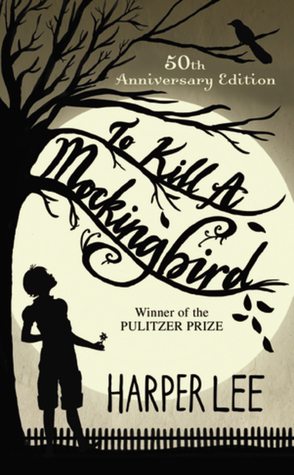 What books did you get or give this year? 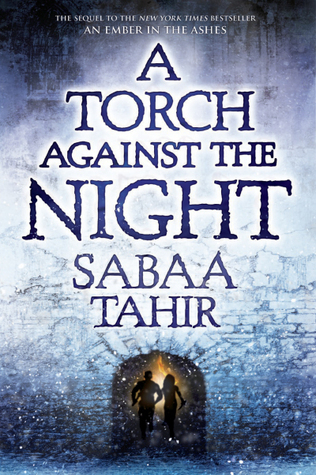 A Torch Against the Night by Sabaa Tahir is the second book in the An Ember in the Ashes series that my niece recently discovered. I purchased it back in September and I was a little worried that she might have already picked it up for herself when we got closer to Christmas and I asked her what books she wanted. Then on our shopping day, she sees the display and she asks me if I've read the series. I haven't and I asked her if she had the second book. How glad I was when she said no. My niece absolutely loves The Throne of Glass series by Sarah J, Maas. 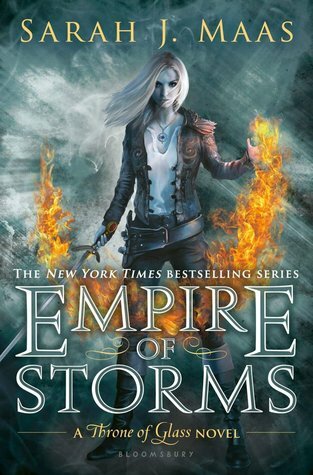 I knew she was eagerly awaiting the release of book five in the series - Empire of Storms. This one I knew she hadn't gotten because in our texts about books that she might want for Christmas she was quick to ask for this title again. She was absolutely thrilled when she opened the box. 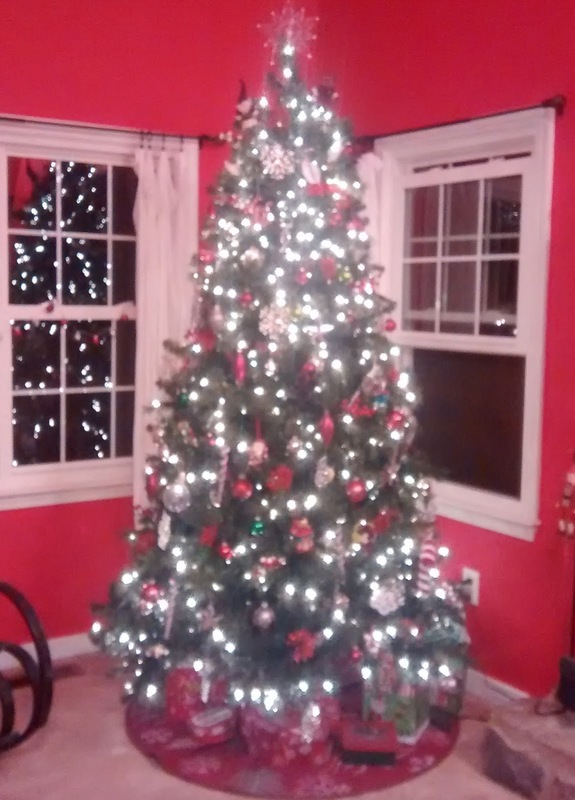 The kids are in the teens now and my mom thought they might want to get clothes or something for Christmas so we took a day last week and went shopping (since they live out of state we didn't to worry about getting the wrong size). But wouldn't you know it, my niece really just wanted to go the bookstore. 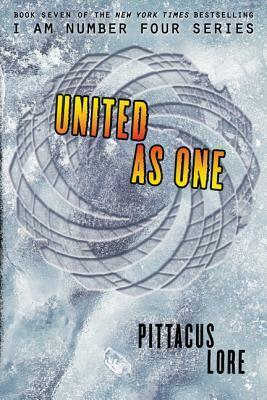 She picked out this United as One by Pittacus Lore, which my mom went home and wrapped to put under the tree. What torture that must have been for my niece. My nephew was a big reader for an early age. Unfortunately, he is at the age where video games are cooler than books, but that didn't keep him from asking for a book this Christmas (even it is on his required reading list for next semester). I don't often get books as presents since I receive so many books for review or pick up ebooks when I find a great deal. But on Christmas Eve, I happened to look out the window at the same time as the mail carrier was delivering my mail. 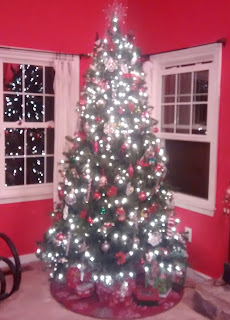 And behold! I saw a cardboard box just the size for a book being put in my mailbox (the mailbox was a Christmas present a few years ago, and it is big enough for book deliveries - my previous mailbox was too small, but I wouldn't buy myself a new one making it the perfect gift.). 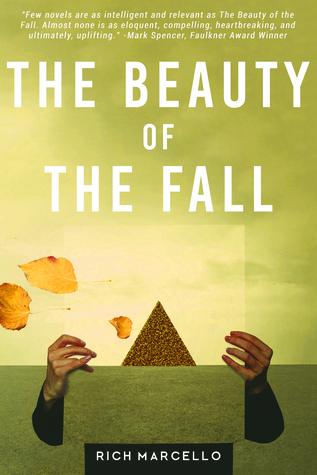 I received The Beauty of the Fall by Rich Marcello, which I won at Goodreads, and it was wrapped up in plain paper like a Christmas present.